1-CD-Album Digipak (4-plated) with 72-page booklet, 30 tracks. Playing time approx. 66:44 minutes. • Liner notes by Bill Dahl, information to the recording sessions – with recently discovered facts – plus rare photos and illustrations! Warner Brothers Records was founded in March 1958 as part of the world famous movie production company. Based in the heart of the movie mecca Hollywood, the company first set focus on issuing their soundtracks on albums but besides that they tried to play a role in the Rock'n'Roll market. 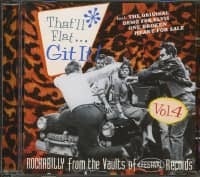 Besides countless pop albums some fine little Rock'n'Roll tunes were produced and sometimes bought from small California labels. 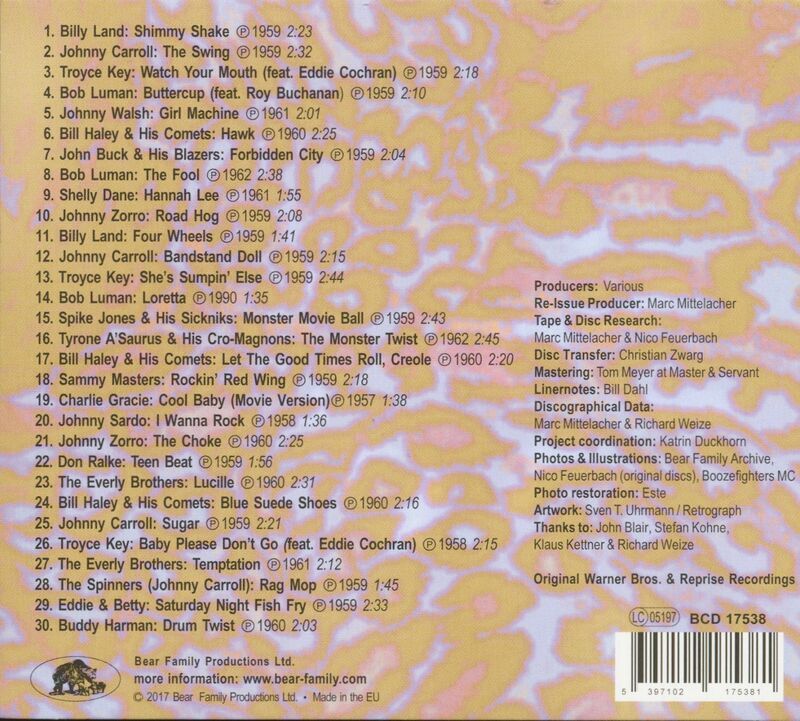 With a few exceptions, those records didn't become huge smash hits but count as classics of the genre today. Busy Warner Bros. A&,R people kept on buying masters from small local labels, but went nowhere. Thus Warner started to sign big names in Rock'n'Roll music: Johnny Carroll was the first in line, Bob Luman, Bill Haley &, His Comets and The Everly Brothers followed soon. This compilation gives you the Rock'n'Roll chapter of one of the biggest Pop music major labels in American history. A brimfull CD with carefully chosen tracks, all recording information, including recently discovered and very interesting facts. For example, who is behind the mask of the pseudonym Tyrone A'Saurus &, His Cro-Magnons, and not to forget the great liner notes by Bill Dahl plus photos and illustrations. How about some guitar instrumentals by John Buck &, His Blazers, Don Ralke or Johnny Zorro? Or oddballs like Johnny Sardo, the brother of the famous singer Frankie Sardo. 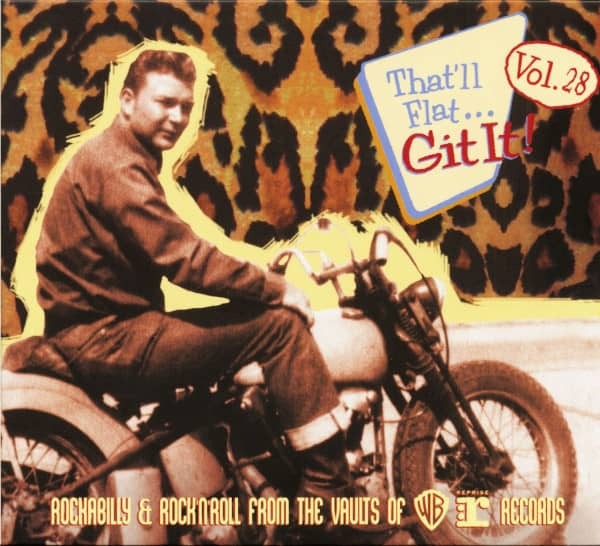 What about Bill Haley and his version of the Carl Perkins penned classic Blue Suede Shoes, or two rare Halloween-Monster-Rock'n'Roll tracks by Spike Jones and Tyrone A'Saurus – it's worth to give it a listen! After Warner Bros. had purchased Reprise from Frank Sinatra, the new subsidairy released a 45rpm single by one of the great unknowns: Shelly Dane – included here. Fantastic Rock'n'Roll stories from the label history of Warner Brothers and their unbelievable music, carefully restored, illustrated and compiled in the best known Bear Family quality. 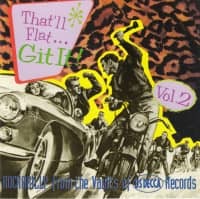 And now: That'll Flat Git It! 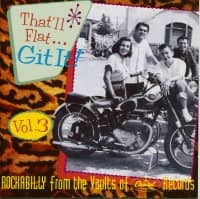 Customer evaluation for "Vol.28 - Rockabilly & Rock'n'Roll From The Vaults Of Warner Brothers & Reprise (CD)"
Oldiemarkt 3-18	"Eine, wenn nicht DIE herausragende Serie über Rockabilly-Singles in den 50erjahren geht in die 28. Folge. Neben berühmten Namen wie Bob Luman, Johnny Carroll und Bill Haley finden sich auch Aussenseiter. Genau dieser Mix und das tolle Booklet machen den Reiz der Serie aus." Musikreviews 14.01.18 "Voller Liebe zusammengestellte Aufnahmen der Jahre 1959 bis 1962, hervorragend digital remastert und mit einem 72seitigen, ins Digipak eingeklebten Mini-Buch, das alle Booklet-Grenzen sprengt, versehen." 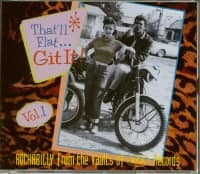 Press Archive - Various - That'll Flat Git It! Vol.28 - Vive Le Rock It's 25 years since the first of this series and seven years since number 27. That's quite an achievement, considering rockabilly lasted the blink of an eye in the bigger musical scheme of things. This one is slightly different and could auger the continuation of the series, veering into what happened next. 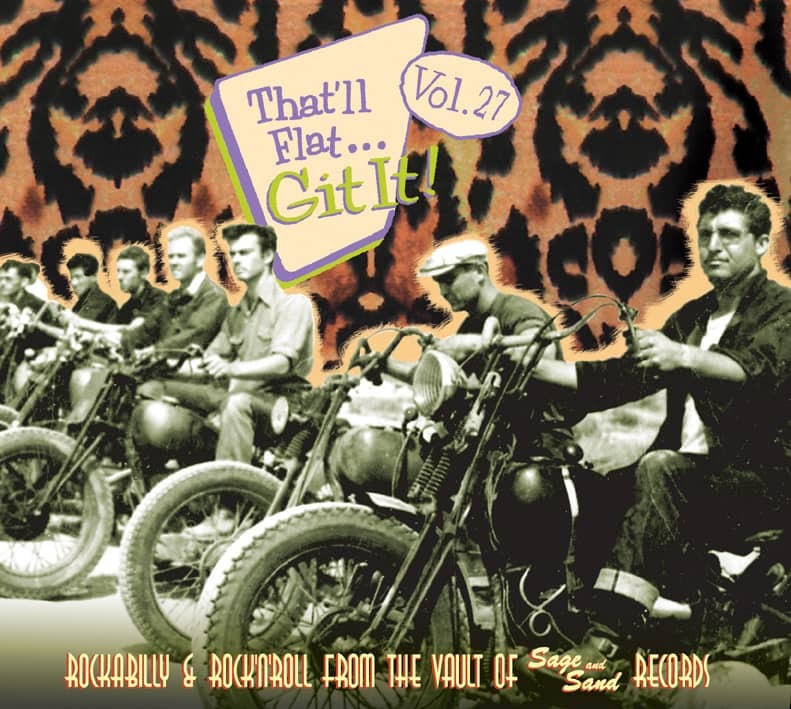 Press Archive - Various - That'll Flat Git It! Vol.28 - Vintage Rock Rock'n'roll was pioneered for the most part by independent labels, and Warner-Reprise was a major. However, it got its slice of the pie by buying rocking tracks from indies, and using its marketing power to produce hits.